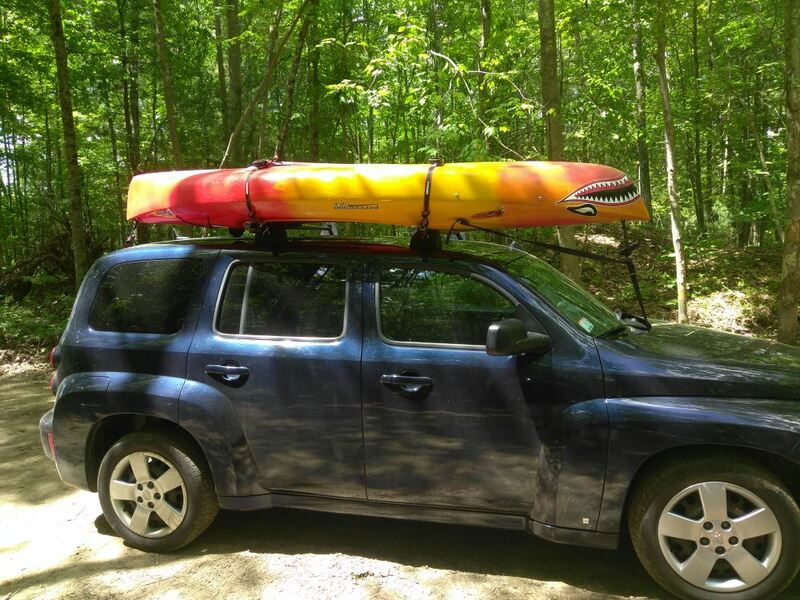 Universal-fit, quick-mount, easy-to-remove roof rack makes cargo control a snap for any vehicle. 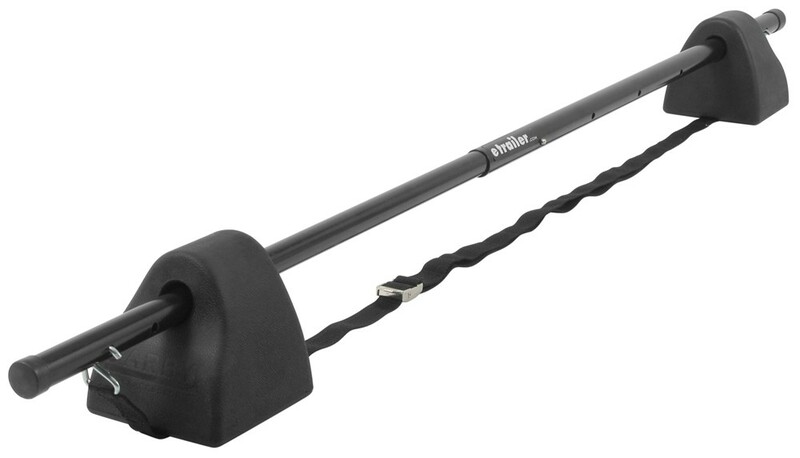 Foam pillars hold the sturdy, steel crossbar in place without scratching your paint. Strap-on design guarantees simple installation and adjustable fit. 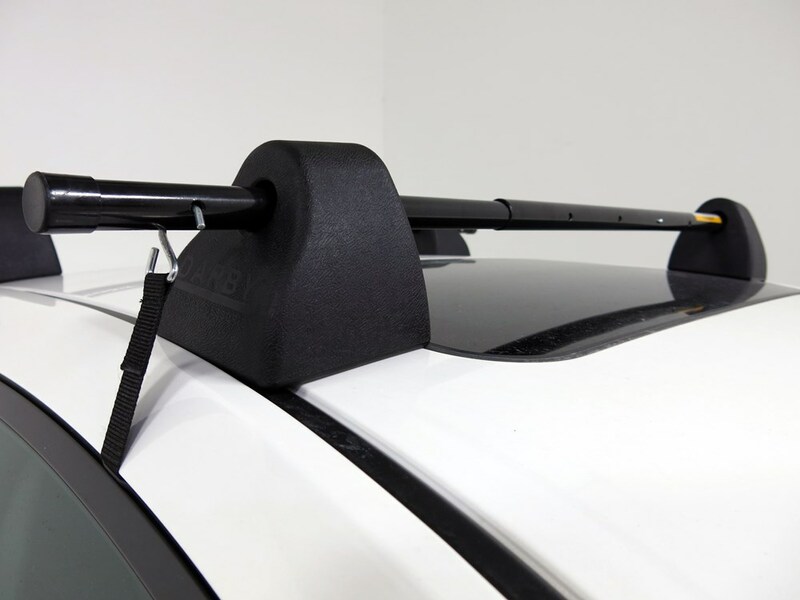 Lowest Prices for the best roof rack from Darby. 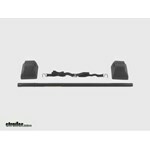 Darby Turbo-Rack Universal Single-Bar Roof Rack part number DTA968 can be ordered online at etrailer.com or call 800-298-8924 for expert service. 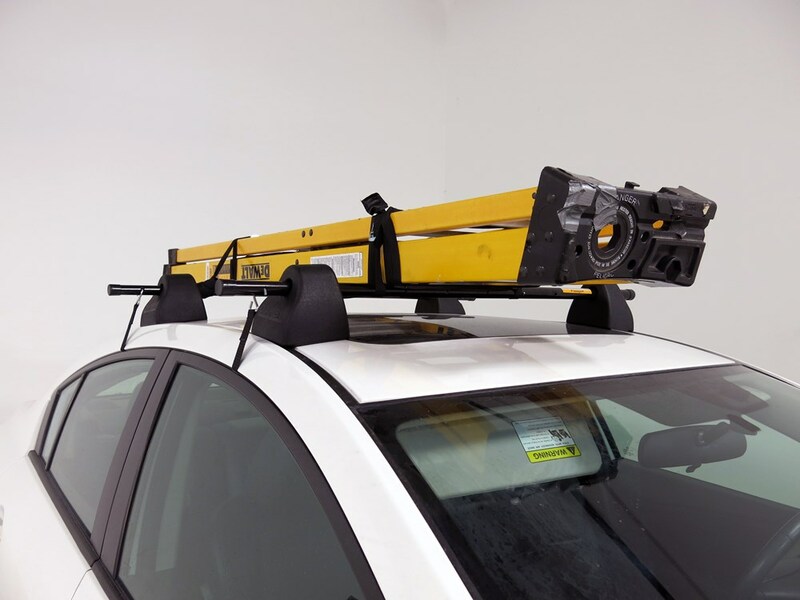 Universal-fit, quick-mount, easy-to-remove roof rack makes cargo control a snap for any vehicle. 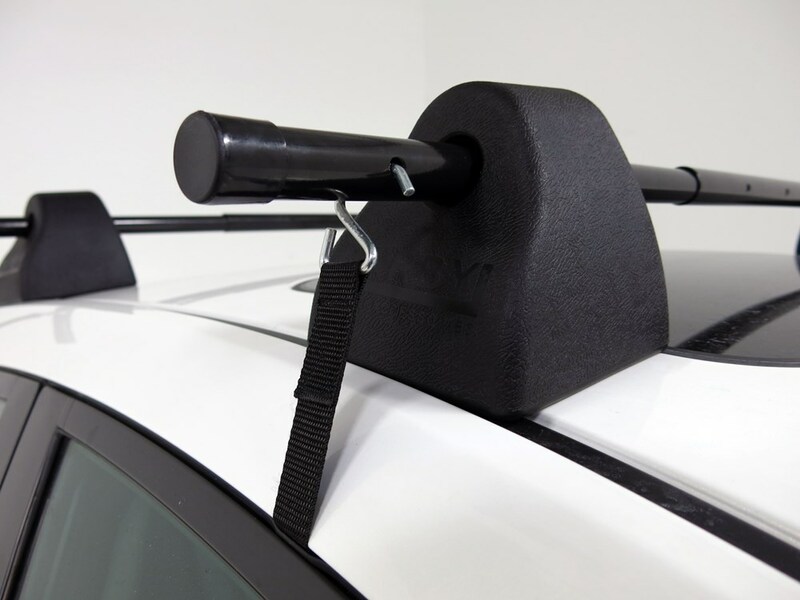 Foam pillars hold the sturdy, steel crossbar in place without scratching your paint. Strap-on design guarantees simple installation and adjustable fit. To install, simply set the crossbar and foam pillars in place on top of the vehicle. Then, open the doors and run the strap through the interior of the vehicle. Secure the strap with the included cambuckle. 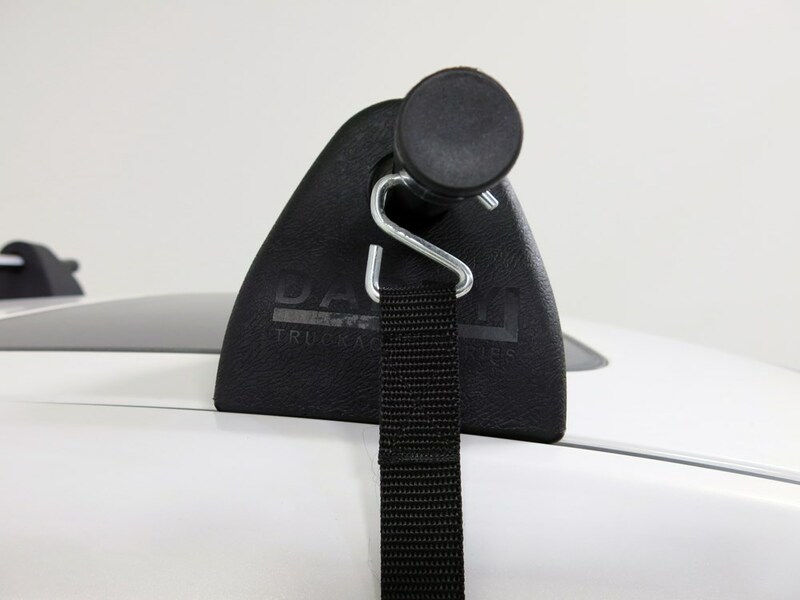 Single Square Load Bar for Thule Roof Rack Systems - 58"
Today we're gonna be taking a look at the Darby Turbo Rack Universal Single-Bar Roof Rack. 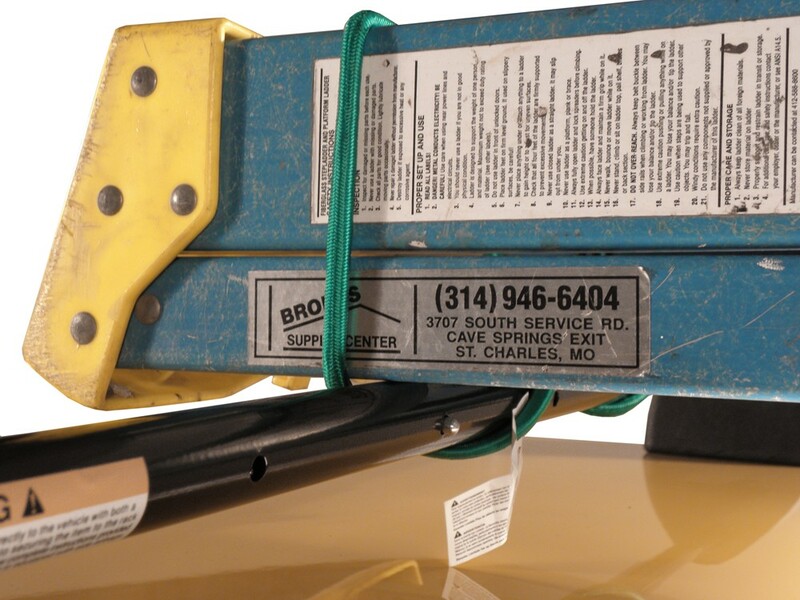 This removable rack creates convenient temporary cargo solution for your vehicle. It's gonna feature a strap-through design. 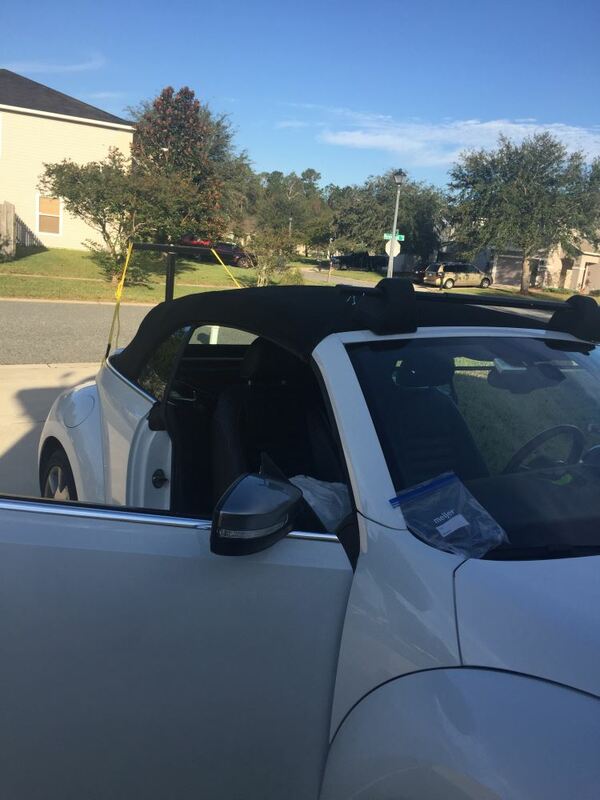 So what that means is that the strap, or how it's secures to the vehicle roof, actually goes through the vehicle. So it's going to make for a quick and easy installation. It does not require any tools. The strap is going to have a hook located on each end, and a cambuckle in the middle. So you would attach a hook to one end of the bar, open up the vehicle, run the strap through, open up the other door, attach the other hook to the connection point here on this end of the bar, and then simply pull the excess or the slack out of the strap through the cambuckle to tighten everything in place. The bar is made from a steel construction with a powder coated finish, so it's gonna be very sturdy and durable. It's also gonna come with your high-density foam pillars that are designed for strength and durability, and they're not gonna scratch or harm your vehicle's finish or your vehicle's roof. This is a universal fit for nearly any application. So this bar right here has adjustment points, so that way it can telescope. And then it comes with inaudible 00:01:16 when it comes to the strap. That way it can stretch across the width of the vehicle on the inside as well. So adjustable design makes the unit a really nice universal fit for almost any application out there on the market. 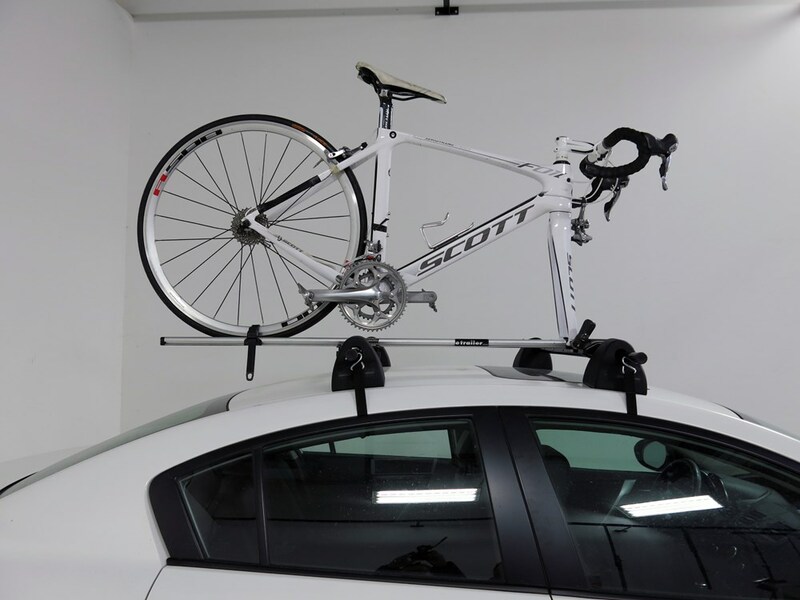 It's a single rack design but it is expandable, so you can add another turbo rack for a complete roof-rack system. Or you could pair it with Darby's Extend-A-Truck load extender, that's sold separately, for long loads that need extra support. 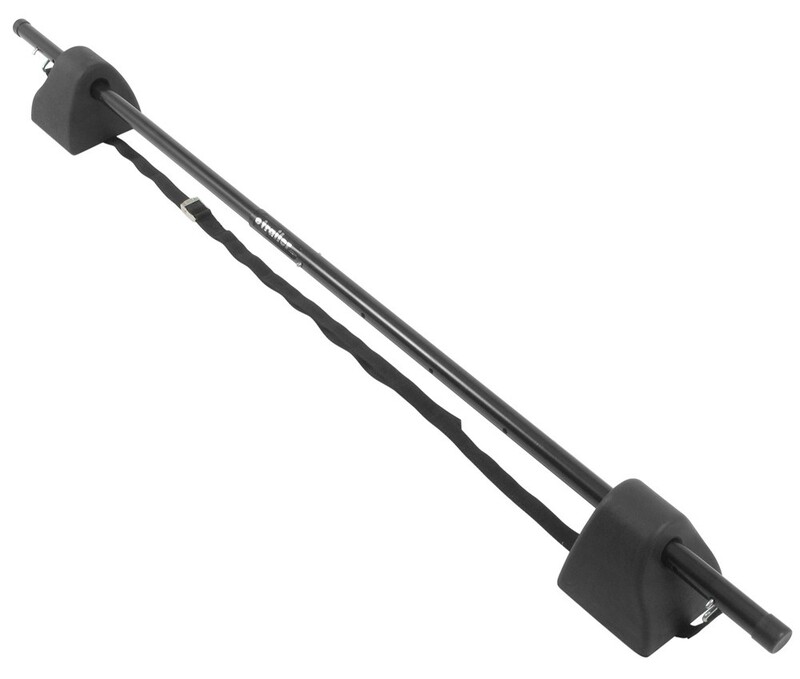 Now the bar length, when it's fully retracted, measures 45 inches from end to end. If you extend it, all you gotta do is push in on that area there, extend it out until it snaps into place. So fully extended, it actually extends out to 60 inches. And it's gonna be able to adjust in 5 inch increments, from 45 inches to 60 inches, which again makes this a nice universal design. So it's gonna adjust in 5 inch increments. The diameter of the bar, the thicker portion, is 1 and 1/8 of an inch. The more narrow portion of the bar is 1 inch in diameter. 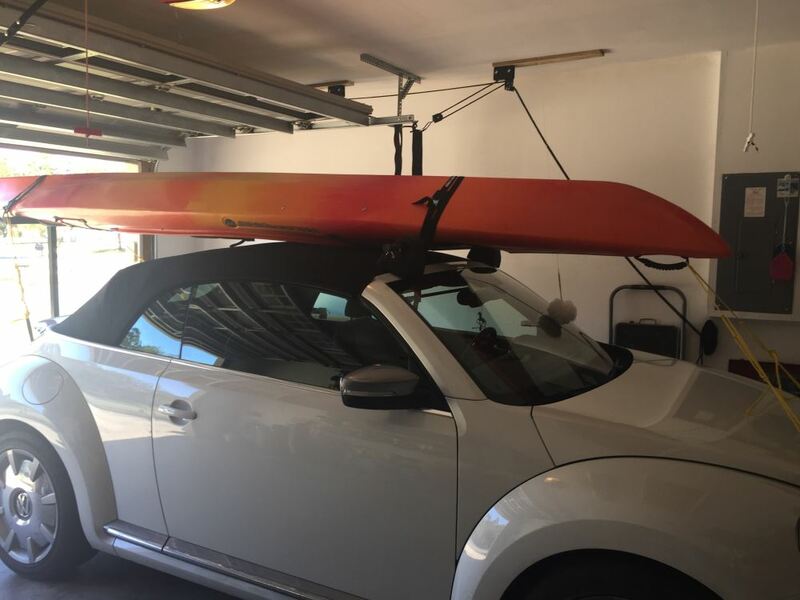 When it comes to the capacity, what you need to do is refer to your vehicle's manual for the roof capacity on your vehicle. And you're gonna be limited to that capacity. When you're ready to set it up, super simple. It's a really nice, easy to use design. Basically these pads right here can be adjusted. And you wanna put that on the outer point of the roof. So you have the roof at the top of the vehicle. The edge starts to taper off, where it goes down to the side of the vehicle. So you wanna place it on the flat portion up top, before it falls off to the side. One pad goes on one side of the vehicle. The other pad goes on the other side of the vehicle. Adjust the bar to the length that you need. Run the strap through. You know you connect the hook on this side. It's got three attachment points on this side. Run it through, connect it to one of the three attachment points on this side, pull the excess out. Make sure it's tight, and then you can go ahead and secure or install your gear to the bar itself. 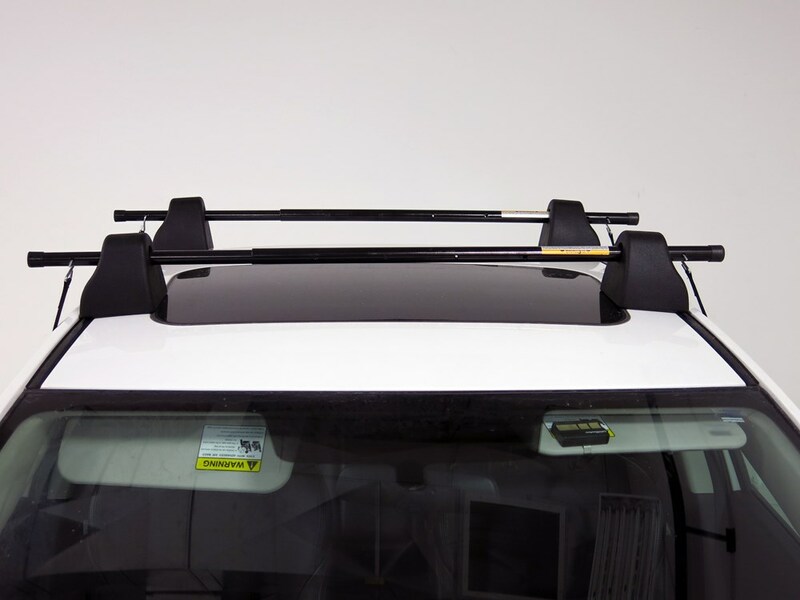 But that's gonna be it for today's look at the Darby Turbo Rack Universal Single-Bar Roof Rack. 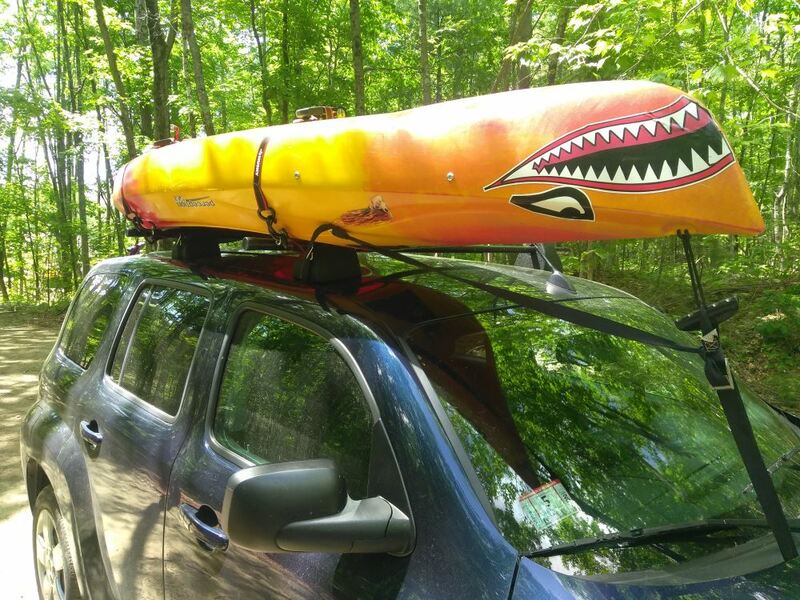 Order: RelevanceNewestRating - High to LowRating - Low to High Universal-fit, quick-mount, easy-to-remove roof rack makes cargo control a snap for any vehicle. Foam pillars hold the sturdy, steel crossbar in place without scratching your paint. Strap-on design guarantees simple installation and adjustable fit. 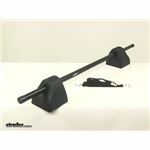 For just the crossbar that comes with the part # DTA944-968-924 you would want just the part # DTA968. This can fit nearly any roof style so it would fit on your 2013 Chevy Silverado. I attached a review video for this crossbar for you to check out as well. 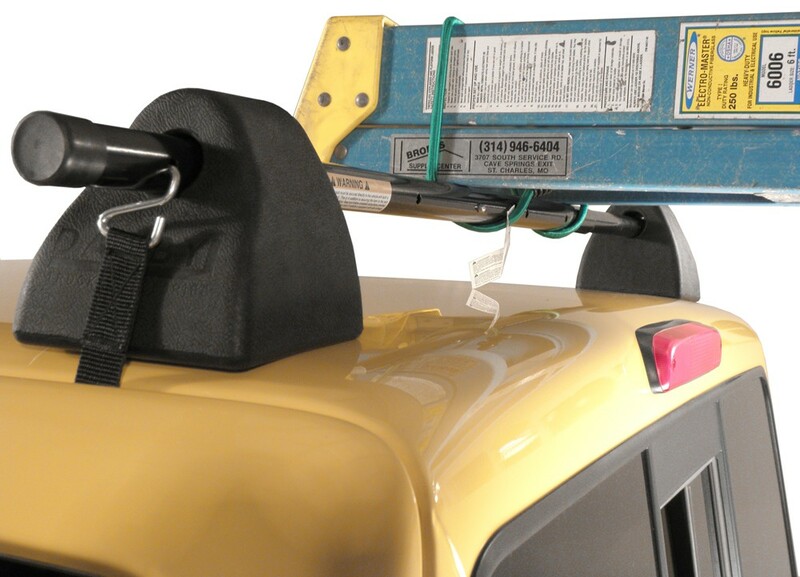 Having a third roof rack crossbar is not a requirement for adding extension # 59504-EXT to Rola cargo basket # 59504. Of course the more support the better but it is not required. It may also be difficult to get a single bar that is the same height as your other bars as well but you could use the Darby Turbo Rack # DTA968 for when the basket is loaded and then take it off when it is not loaded. 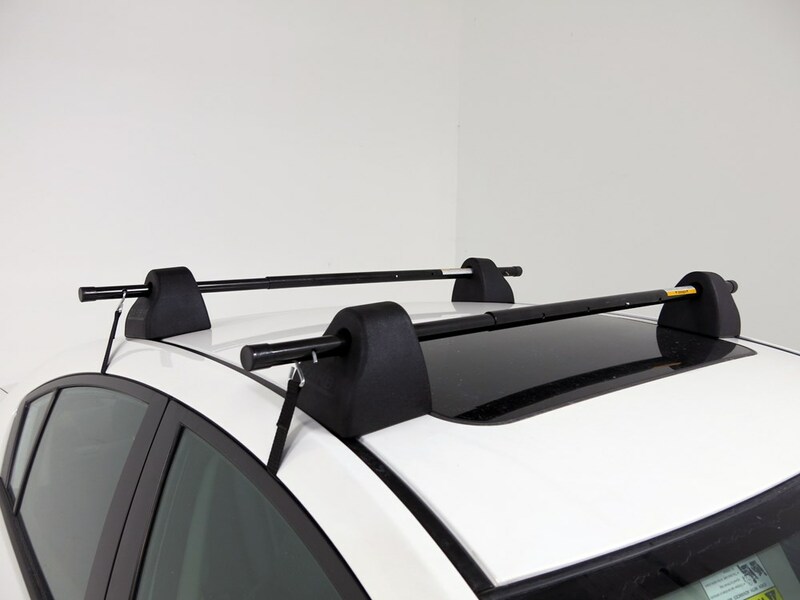 Roof rack crossbars and mounting feet have to go in specific places on a vehicle for strength and stability. If your 2011 Toyota Sienna does NOT have the factory side rails that run front to back then the only option is the Darby Turbo Rack # DTA968. For just the single bar of the # DTA944-968-924 that you referenced you would want the part # DTA968. This installs by running through the interior of your vehicle and strapping there. If you check out the install video I attached you can see just how it installs. 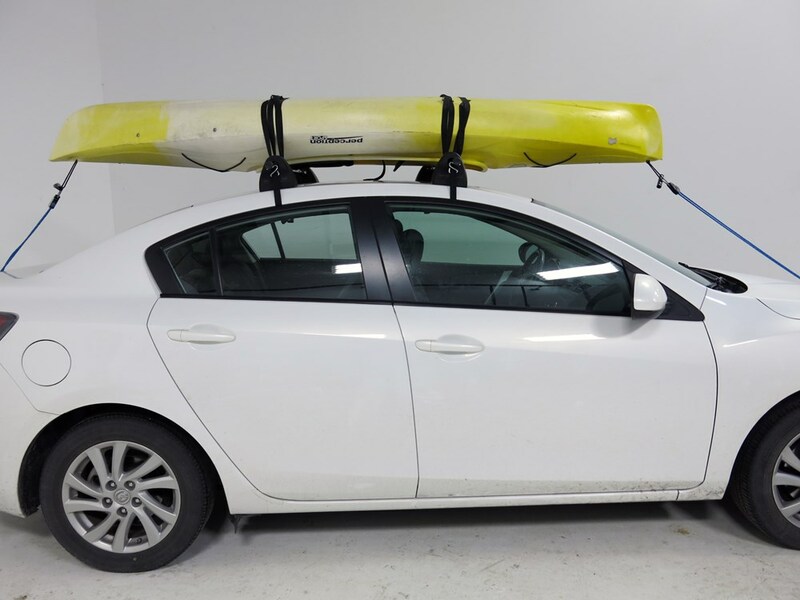 As long as you stay under the weight capacities for the roof of your Ram 2500 yes, the Darby Turbo-Rack Universal Single-Bar Roof Rack # DTA968 that you referenced would work for you to transport your 10 foot portabote. Like you said you would need a pair of these. 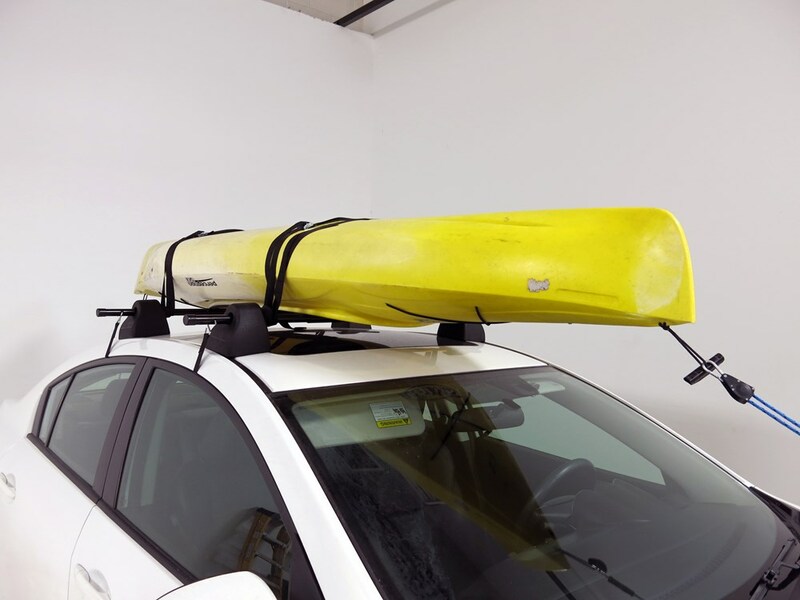 Since your Portabote folds down a surf board carrier like the Thule Express Surf Strap # TH531 would work well. See attached review video. 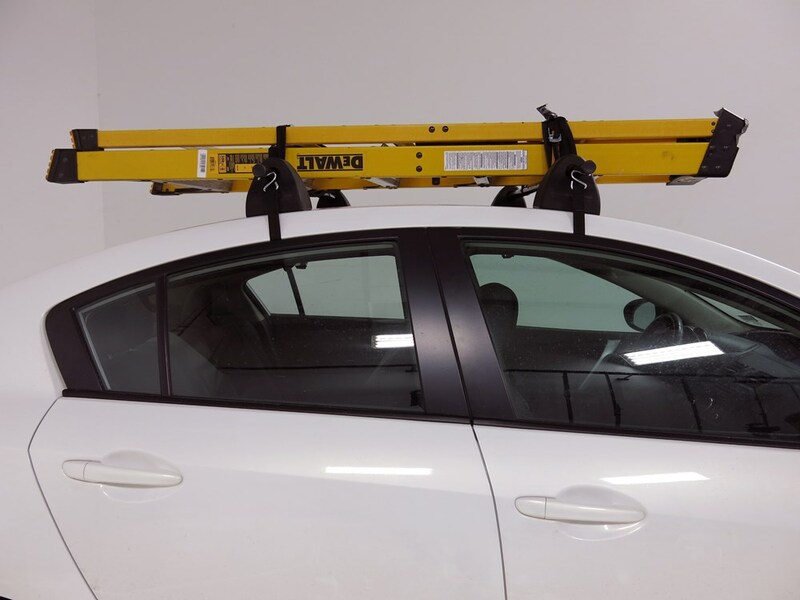 The weight capacity of the Darby Turbo-Rack Universal Single-Bar Roof Rack # DTA968 is determined by the roof capacity of the vehicle you are going to be installing it on. You will need to refer to your owner's manual for the capacity. 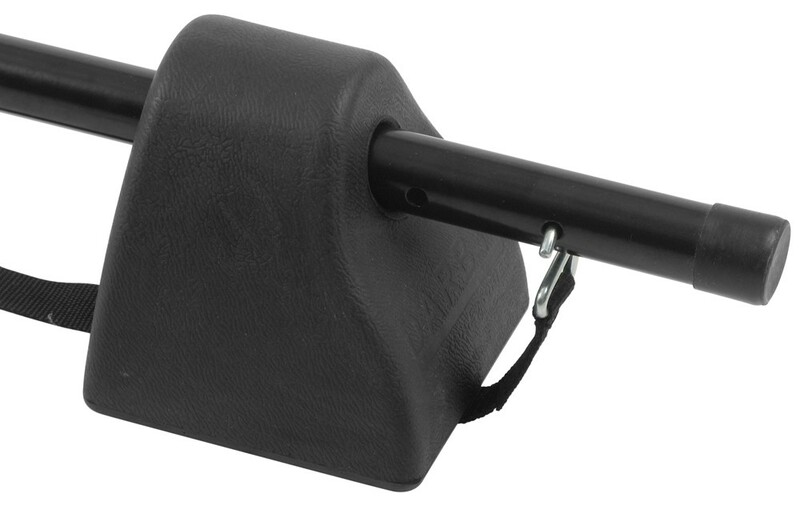 It will work well with the Darby Extend-A-Truck Hitch Mounted Load Extender # DTA944. What Roof Kits are Compatible with the Lexus RX 350? Because the Chevy Avalanche has a unique bed design, there are no ladder racks that will fit it. 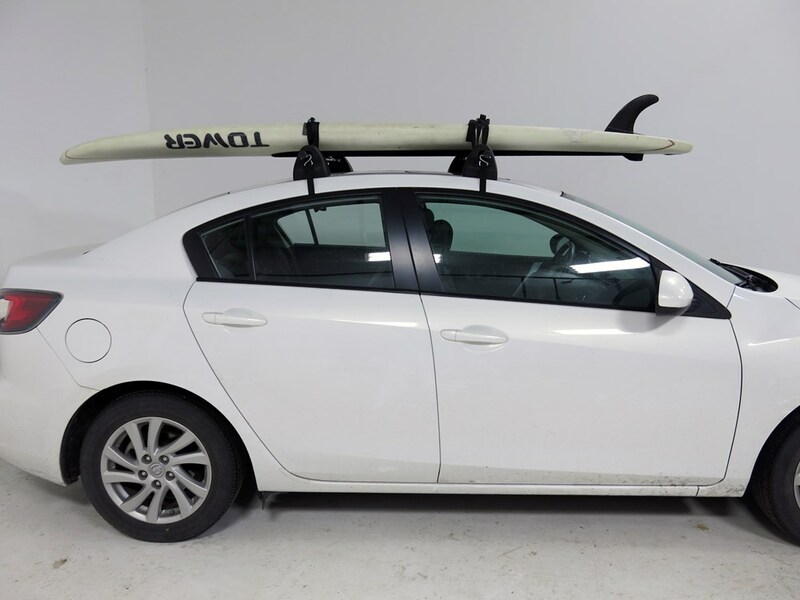 What you can do is add a roof rack, see link, and also use a trailer hitch, like # C13422 if needed, and use the Thule Goalpost, # TH997, and achieve the same effect. 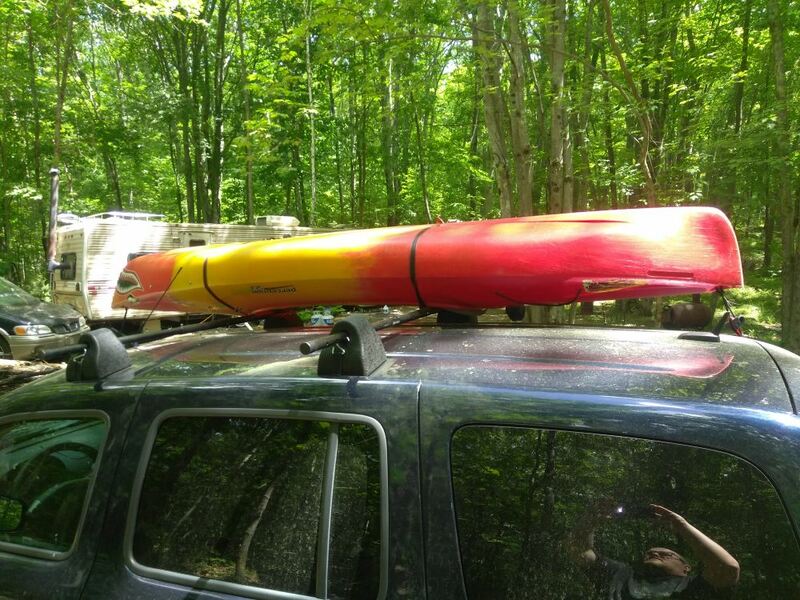 Or, you could use a universal roof rack single bar, # DTA968, the hitch, and Goalpost, which would be more economical than a complete roof rack. 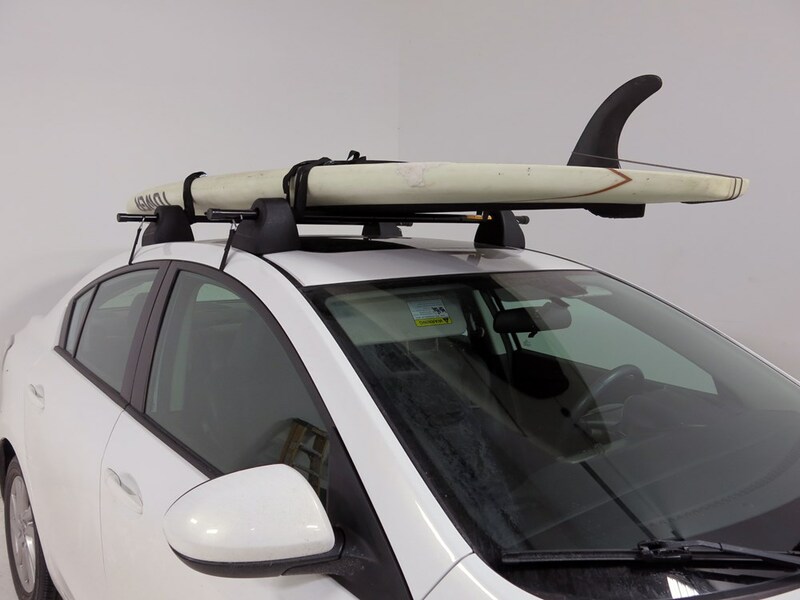 You could possibly add the artificial rain gutters, # TH542, to your Toyota Corolla to fabricate a roof rack but I do not recommend it because you will have to put holes in the roof. 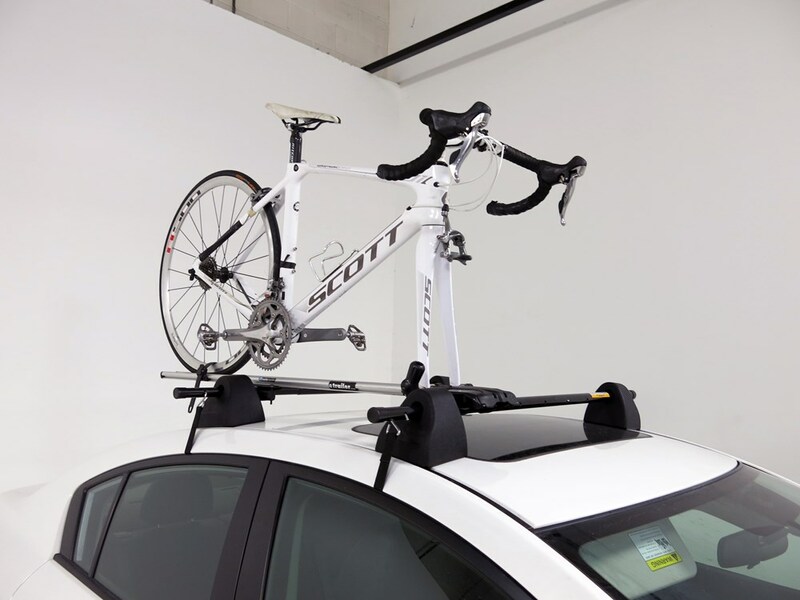 Instead, a custom fit roof rack is a much better option because it will be designed to fit your vehicle. 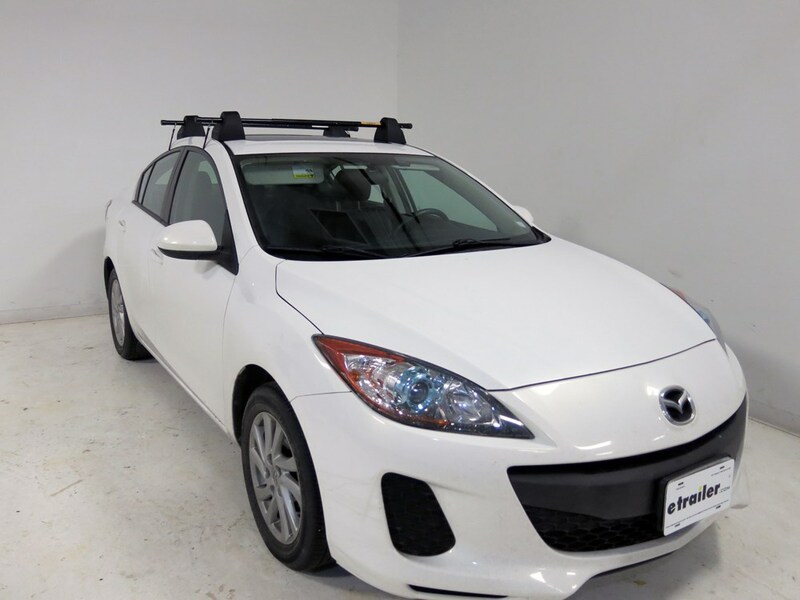 I just need the year of your Corolla to make some recommendations. We do also have the Darby Turbo-Rack, # DTA968, if cost is an issue.